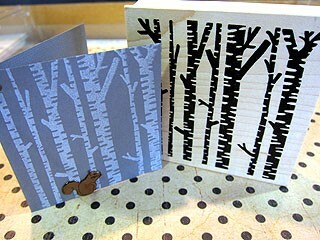 The squirrel brads look so cute at the base of the birch forest image. Stamp the trees in white for a natural look. A white reinker is a good investment. To get a really opaque white color, you need a well inked pad, we reink our white pad often.